Everyone endures enormous amounts of stress, but individuals who have received their fair share of pressure are parents, specifically new parents. Raising a baby is something foreign to these individuals, and although they receive plenty of baby shower gifts that are supposed to help them, the stress of keeping their baby safe can be a torment for the parents. Fortunately, we live in a modern world that is constantly inventing new technology meant to facilitate their lives as they as they strive to become responsible parents. One important and life changing baby innovation is the car stroller which allows parents to transport their babies with security and carries multiple benefits for the baby. After giving birth naturally, women are left over with a rather large amount of skin and also run the risk of suffering from postpartum depression. This condition is a very serious form of depression that can haunt the mother for over several days. Many people may think that this depression only affects the mother; however, their wellbeing plays a huge role on the attitude of the rest of the family. Israeli researchers have proven that the baby’s stress level rises as does the crying and their performance levels are weak due to the depression of the mother, according to PsychCentral.com. To treat this disorder, women are encouraged to exercise to recover their figure, but more importantly, to prevent periods of depression and to strengthen the immune system of both the mother and the child. One of the most recommended exercises is a simple walk in the park. This action is facilitated with the invention of the stroller that allows the mother to take care of herself as she exercises while safely having her baby with her. In the 1700s, American mothers might not have been advised to exercise since American doctors were not advanced and could not diagnose and offer the proper treatment. Most illnesses experienced after childbirth were either remedied with physical home-made medicine or sometimes went ignored resulting in the death of the mother. Consequently, after childbirth women were not advised to exercise because it was not diagnosed as necessary, and living in a paternal society with different norms, it was unheard of for women to do such activities, especially with their babies on them, so strollers were not yet invented. Additionally, the economic necessity of raising a huge family to help provide for the household, led to the result of many back to back pregnancies which prevented the mother’s body from fully recuperating. As a result, after conceiving a large number of children the mother died. 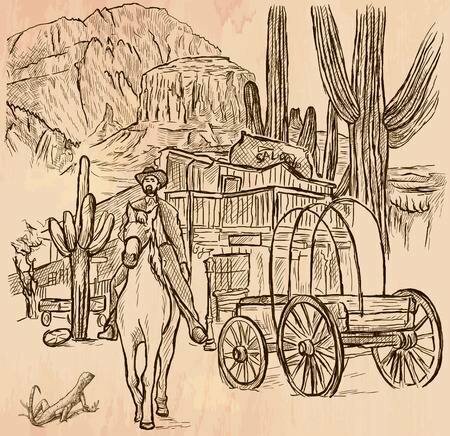 Furthermore, in colonial America, there were not a lot of places to travel to since only 13 colonies had been settled and the rest of the western land remained undiscovered. According to History.org, colonies were approximately “301 acres” big and it was small enough for the entire population to gather and hold meetings in the meeting house. 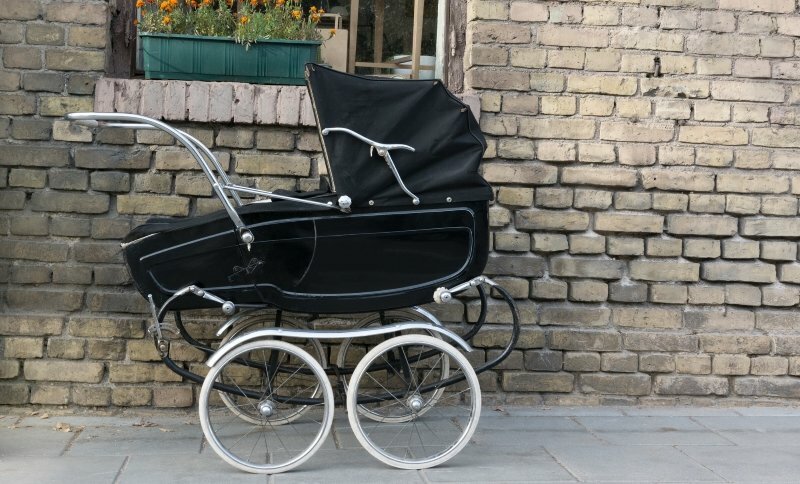 As a result, strollers were not largely used because there was only one town and wagons were the primary way to travel to the town due to the immense distance between towns and the surrounding rural homes. In addition, families spent most of their time at home tending to work around the house because there were not many facilities such as grocery stores or parks that were within walking distance like there are now. Additionally, many parents have more than one child that is involved in many different extracurriculars that are demanding of the guardian’s presence; thus, it has become necessary for a mother in this time period to possess a stroller to easily run errands while caring for their child at the same time. In addition, women back then were strictly restricted to doing household chores and only traveled to restock on food and clothing supplies; therefore, a stroller was not necessary for them since women spent the majority of their time in the house. The main reason for a stroller is to transport the baby and keep it safe while parents do chores and this invention becomes more necessary for single parents. According to verywellfamily.com, approximately 13.7 million parents in the United States are single parents which creates more pressure on the parent as they try to balance work with raising a child. Back then, families needed to have numerous children to help the father tend the field and do household work and by having many children, the older siblings could take care of the baby as the others helped around. Now, however, many parents do not have the resources nor the privilege to raise a big family with older children that can help them in taking care of their siblings as they all run errands together. Fortunately, the stroller allows the parent to keep the child in the seat while they travel from one place to the other and prevents the baby from crawling out and moving around the store, for example, and running the risk of getting lost or stolen which at the same time, decreases the parent’s stress. According to NASA, “30 years of satellite data have found that the amount of ultraviolet (UV) radiation reaching Earth’s surface has increased markedly over the last three decades.” The amount of radiation entering our earth is constantly increasing as more people are born and more resources are used up. Meaning that the risk for humans to get a sunburn has greatly increased and can have a more negative effect on the fresh and soft skin of newborn babies. 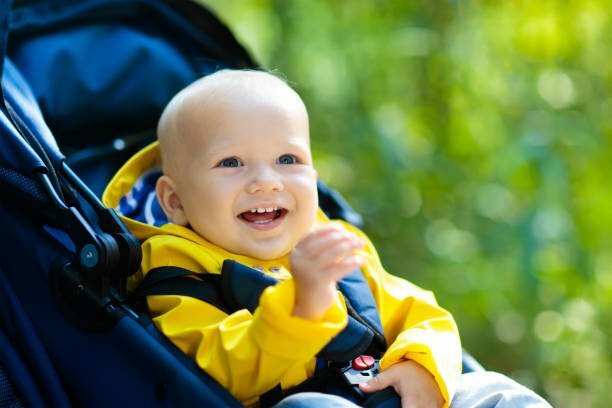 It is not advised for parents to take their newborn children out on hot days; however, if one must do so, strollers now provide great protection to shield the baby from harmful sun rays. This baby innovation is more important now because it also comes with a shade that protects the baby from strong sun rays and keeps the baby from developing rashes, blisters, swelling, and even severe fevers. 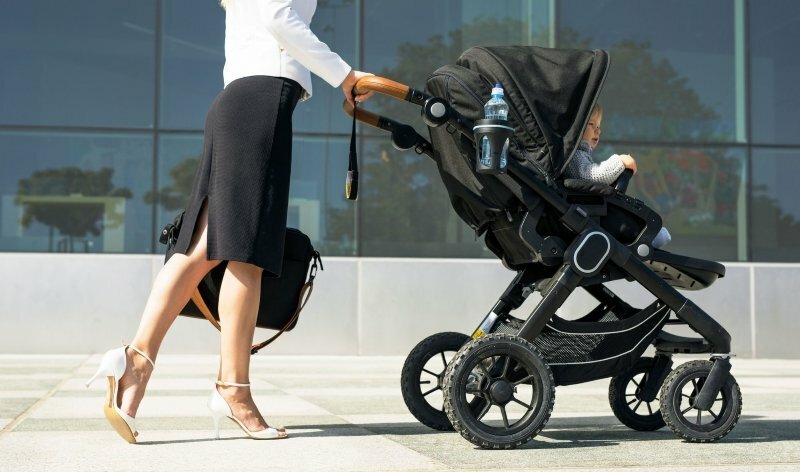 For the modern parent that is always on the go, they can benefit from the new strollers with solar paneled shades which charge the parent’s phone, according to Treehugger.com. The stroller has many purposeful uses, but it can also become problematic towards children. While this tool is meant to provide easy transportation for babies, many parents continue to extend its use for their toddlers. Parents may choose to make this choice for various reasons such as, if they are running late for something and need to go there on foot, they know if they let their child walk they will have to walk at the pace of the child; therefore, it is easier to place the child in the stroller, so they can push it to their own pace. Nevertheless, the guardian does not realize that he/she is actually harming the child by not allowing him to work his leg muscles, strengthen their wobbly walk, and by increasing the laziness of the child. Individuals have seen how grown children are practically squeezed into their stroller and begin to gain weight because their body is not getting the amount of movement it needs that helps them maintain an appropriate weight. These habits could then decrease the desire to be active in the children and could increase obesity risks in their later years. Nevertheless, strollers are still very useful to parents whenever their child is sleepy, and they still have errands to run because they can place the child inside the stroller while they finish shopping and once the child awakens, the child can walk to keep a healthy weight. This issue was not present back then because strollers were not invented yet, and children were placed to work around the house as soon as they were of appropriate age. On a more social note, strollers have also become the object of fashion. Nowadays, parents can buy a decorated stroller based on their likes such as, an army pattern stroller. This apparatus reflects the parent’s personality and introduces the family style to other individuals. Since today’s society is heavily influenced by celebrities, some parents may end up buying this tool simply because their favorite artist was photographed walking their child in a specific stroller. Meanwhile, in colonial times, people did not have the time nor the money to care for fashion and were more concerned with surviving and getting used to their surroundings as colonization continued. Consequently, the need for a stroller was still not present. Different times and ways of living called for different technology. Back then, children and women did not frequently leave the house to travel around the neighborhood. The small size of the town and its limited variety of stores did not call for strollers because wagons were the main mode of transportation. As industrialization allowed for cities to flourish, people could walk to places instead of using a vehicle. The increasing concern to lead a healthy life has also pushed forth the benefits of walking, and it is an exercise that most new mothers are encouraged to do. The stroller, with its secure features and innovative technology, facilitates an activity where mothers can bond with their babies, but still run errands and be responsible adults.